Cannon was born in 1863 in Dover, Delaware, to a prominent family. Her father was a shipbuilder and lieutenant governor of the state; her mother, who had taken a course in astronomy, interested her daughter in the stars. As a young girl, Cannon observed the stars in her family’s makeshift attic observatory and recorded her observations by candlelight. She was also intrigued by the rainbow colors of light passing through the glass prisms in the candelabra in her home, an interest in the behavior of light that lasted throughout her life. Although higher education for women was uncommon at that time, Cannon’s teachers and parents agreed that Annie had unusual abilities, and her father agreed to send her to Wellesley College. She worked under Professor Sarah Whiting, the first woman to study physics at The Massachusetts Institute of Technology. Graduating in 1884, Cannon went home to Delaware and did not pursue science until the death of her mother 12 years later. While still in mourning, Cannon returned to the hobby she had shared with her mother and considered new questions about what she saw. In 1896 Cannon started taking graduate courses at Radcliffe College where she met Edward Pickering, director of the Harvard Observatory. At age 34 she became his assistant and began a career in astronomy. Her job was to classify stars according to their spectra, the ribbons of light crossed from top to bottom by telltale lines and bands (spectra) that result when starlight passes through a prism at the end of a telescope. These spectra (nature’s bar codes) tell a trained observer the stars composition, temperature, speed, and size. Not only did Cannon become expert at this type of analysis, she also devised an improved classification scheme for stellar information, the “Harvard” system, ranking stars from hottest to coolest. The system was adopted as the international standard by the International Astronomical Union in 1913. Harvard began recording Cannon’s systematic records of the stars in nine volumes known as the Henry Draper Catalogue, so named by Draper’s widow who subsidized the project in his honor. Cannon was in her sixties by the time this work was published, but she was not finished. She continued to look for and catalog thousands of fainter stars and discovered 300 variable stars and five novae (exploding stars). She classified 350,000 stars in all. Using photographs taken through a telescope, she participated in the first scientific mapping of the sky. Cannon became curator of the Harvard College Observatory in 1911. She enjoyed travel and spent six months working at the Harvard Branch Observatory in Peru. Cannon was recognized as one of the greatest living experts in her field. She was awarded six honorary degrees, including an honorary doctorate from Oxford University in 1925, the first ever granted to a woman. The National Academy of Sciences honored her in 1931 with the Draper Medal. Harvard University, however, did not make her a faculty member until 1938, shortly before her death. 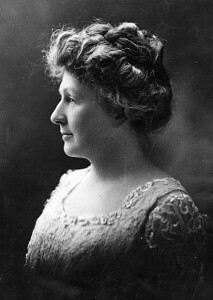 Cannon died in 1941 at age 78. Annie Jump Cannon may be considered one of the world’s first astrophysicists, as she developed the Harvard classification of stars by their spectral types as well as contributed enormously to stellar taxonomy. The seven star classes that Cannon differentiated (O, B, A, F, G, K, and M with O being the hottest and largest and M being the coolest and smallest) was the standard until 1998. That year J. Davy Kirkpatrick of the California Institute of Technology and his colleagues found examples of dwarf stars only one­third the temperature of the Sun. They expanded Cannon’s series by adding a new L class for these previously undetected bodies whose distinctive spectral lines indicate atypical atmospheres rich in metal hydrides. Developed, refined, and organized by Cannon, the Henry Draper Catalog of stellar spectra laid the foundation for modern stellar spectroscopy. Whenever a new observatory is established on any continent, this catalogue is purchased as essential equipment. These studies made by a single observer are a benchmark for Earthbased astronomy; yet they were hidden behind the name of a Harvard­approved man. For many intellectual women of her time, invisibility was a small price to pay for the privilege of doing challenging work and making valuable contributions to science. As a scholar of international reputation, Cannon set an example for other astronomers. Her enthusiasm and tenacity in photographing stars, especially faint ones, and her skill in detecting their distinctive behaviors as coded in starlight received on Earth set a standard of fruitful observations unlikely to be equaled by any other individual. Her longevity and intellectual initiative also contradicted the “common knowledge” that education would destroy a healthy woman’s mind.